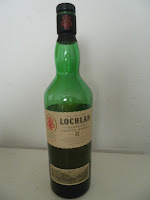 About a year ago a rather mysterious blended whisky appeared on the shelf of my local Tesco. Looking rather dapper for a sub £20 bottle of whisky, the design appealed to my more shallow instincts and so a couple of months ago I decided to pick up a bottle on one of my shopping trips. Lochlan is an 8 year old blend. 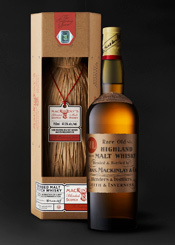 It says on the back label that is consists of malt and grain whiskies that have been carefully selected by Richard Paterson. Whyte & Mackay have recreated a second edition of their popular Mackinlay's whisky. This new version is called Mackinlay's The Journey and was launched back in Autumn 2012 in New York, although it was only officially released and available to buy this Spring. The original Shackleton Blend was released in early 2011. It was a recreation of whisky which had been specially created for Shackleton's failed expedition to the Antarctic in 1907/08. It had been found by explorers in a hut used by Shackleton's team as a base, and had laid undiscovered under the ice for a century. 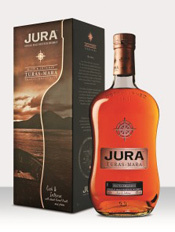 The Jura Turas-Mara is a new expression from the increasingly popular island distillery of Jura, which is exclusive to the travel retail market. The name of the expression translates literally from Gaelic as 'long journey' and links to the travelers who will be able to purchase it in the airports. It also refers to the many islanders from Jura who were forced to emigrate great distances, particularly to Canada and the USA, during the notoriuos Highland Clearances of the 18th and 19th centuries. 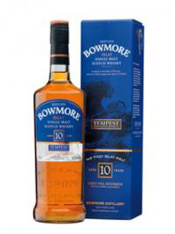 The Islay distillery of Bowmore has launched the latest batch in its superb Tempest series. 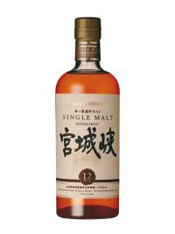 The series consists of small batch and cask strength single malts which are released annually. Batch #4 was released worldwide at the end of April and follows on from the previous three batches, which have raked in the awards. This batch has been matured in ex-bourbon casks for 10 years and is bottled at the natural cask strength of 55.1% ABV. There are 12,000 bottles available and the retail price should be around the £50 mark.